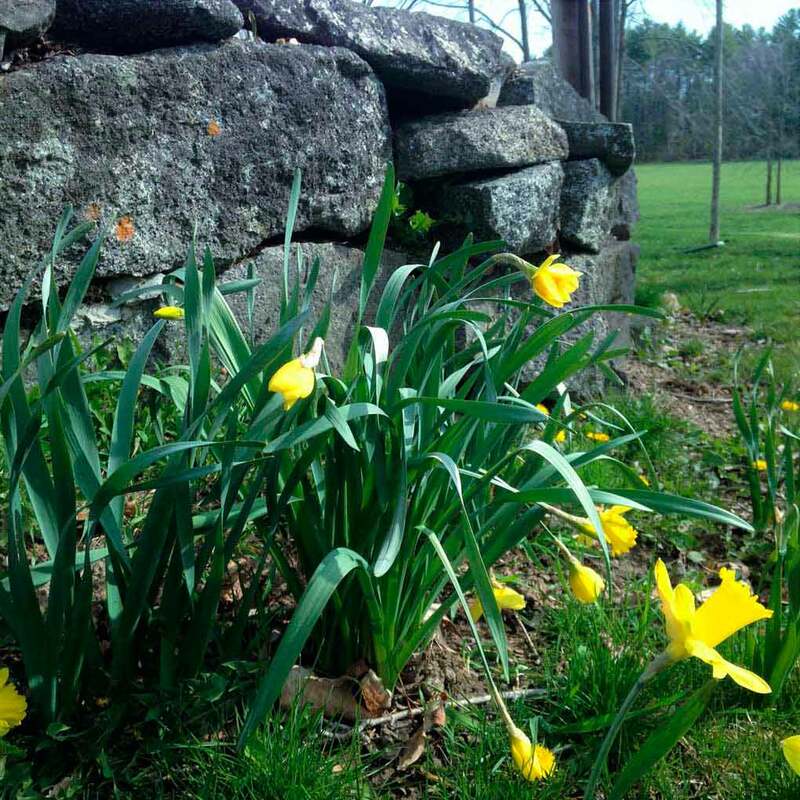 The crocus has come and gone, the daffodils are up, and the peonies have emerged at the Thompson Inn! Sooo looking forward to seeing the hydrangeas around the inn blooming again! 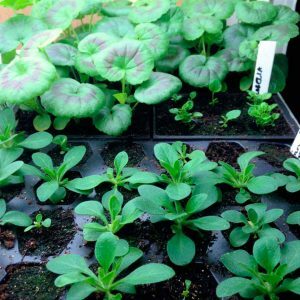 We are going to have to wait until June for those though…Seedling flowers are growing under the lights in our barn, soon to find their new home in the inn’s window boxes and planters. This year’s collection of flowers includes loads of multicolored Shock Wave petunias, red and white impatiens, deep blue calibrachoa, white daisies, purple fuschia, pink caladium, blue angelonia, scarlet geraniums, magenta vinca, yellow and white lantana, and blue lobelia. It definitely will be colorful! 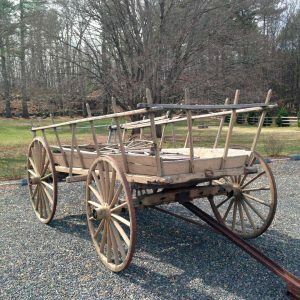 We found this wonderful antique hay wagon last fall that we plan to fill with flowers too. It came from a lavender farm down in Stockbridge Massachusetts. We have the perfect spot for it down near the road. Hmm…might be a great spot to hang the Thompson Inn sign? With the arrival of spring, we are happy to say that the foundation for the Cyderhouse addition is complete with the douglas fir post and beam frame scheduled for raising in May! The old cider mill will be gutted and restructured inside to accommodate our catering kitchen, bar, restroom facilities, wine cellar and more intimate gathering areas. The 2400 square foot timber frame addition will serve as a large function room. We are very excited about using lots of beautiful douglas fir reclaimed from the ceilings of the old Groveton Paper Mill in Northern NH and plan to use it for flooring, ceilings, and trim throughout the Cyderhouse, old and new. 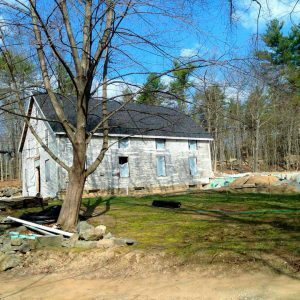 If all goes as planned, the Cyderhouse and addition will be completed and ready for events in June 2017! Now that frost is out of the ground, we are excited to be moving along with the landscaping around the Cyderhouse. 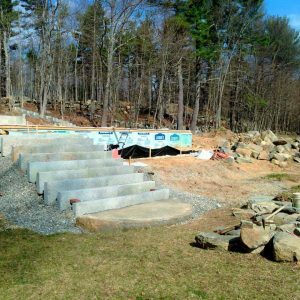 We just started the fieldstone retaining wall, and granite and brick stairway in front of the Cyderhouse and it is looking pretty good! Once that is done, some heirloom apple trees are going in. What better way is there to landscape around the old cider mill?